This holly tree has the most beautiful pimpled bark. Clusters of nodules and wrinkles which I think tell of its age. 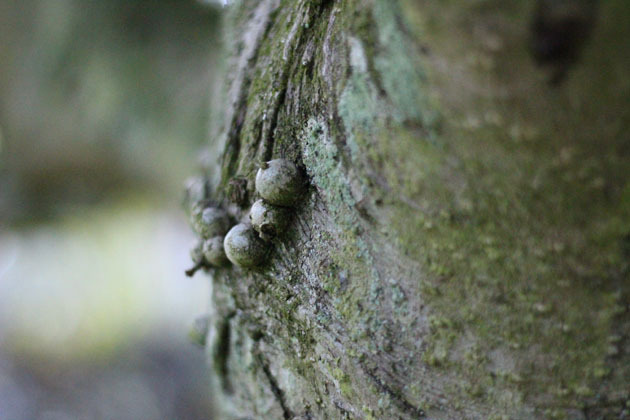 Nature writer Roger Deakin describes the burrs and bumps on trees as being “like pearls in oysters”. They’re fascinating – some looking almost like fruit. 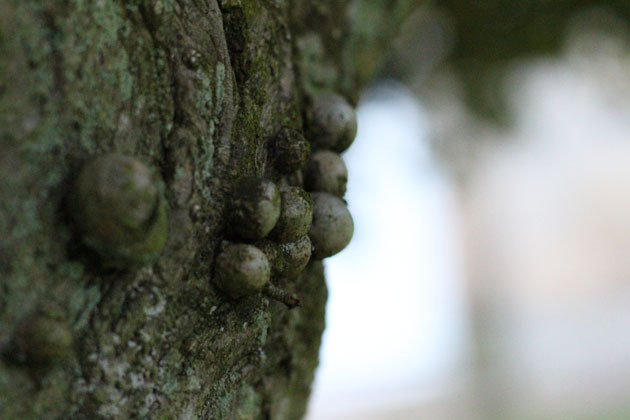 Are these from insects, or environmental pollution – I think I read somewhere that there is a connection between the honey fungus, and a general decay in older trees, and these pimples. Our intrigue and connection with holly is longstanding. In early medieval Ireland, a law (called Brehon) categorised trees into four divisions – the highest valued were known as Airig Fedo – a Gaelic phrase meaning Nobles of the Woods. Only seven trees were bestowed this status – oak, hazel, yew, ash, pine, apple and holly. What made holly a valuable tree was its tough, heavy wood which was favoured during those times for making spears and chariot axles. 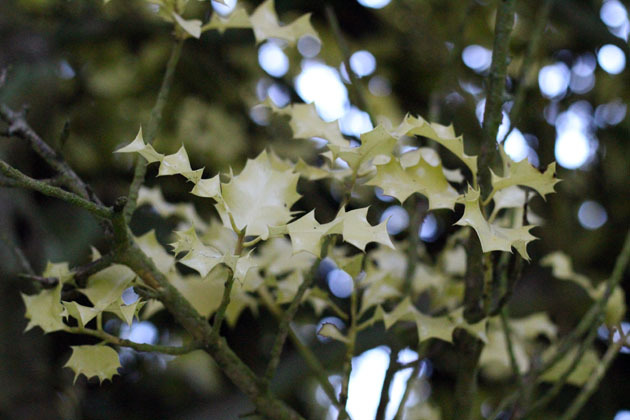 The law imposed fines for anyone caught illegally felling a holly tree. Times change of course and now I’m valuing it aesthetically and for its seasonal associations. It’s nobility is without question though and it won’t be long before I’m bringing some spiky green into the house.